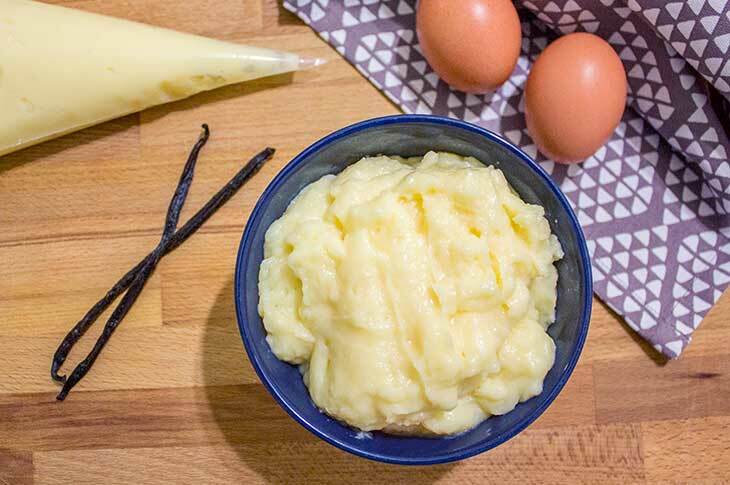 ‍Whisk the eggs with the lemon zest. While whisking, add the sugar. Then add the cornstarch. Still whisking, slowly pour in some of the hot milk. Strain the mixture in the remaining milk. 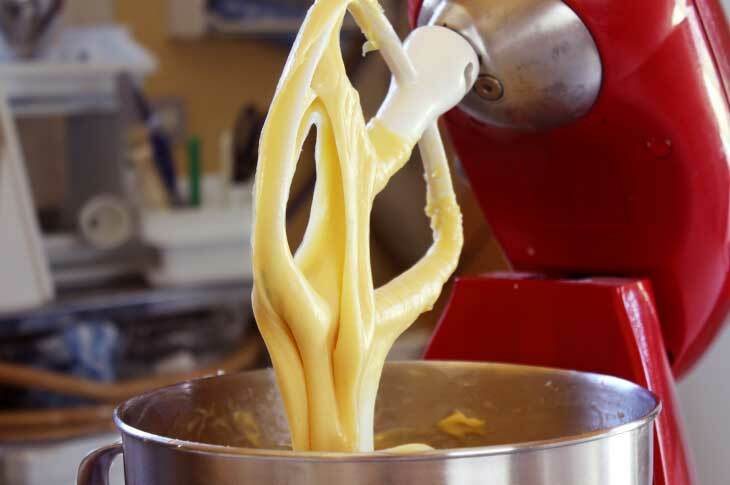 Whisk continuously on low heat until the pastry cream becomes thick and creamy. 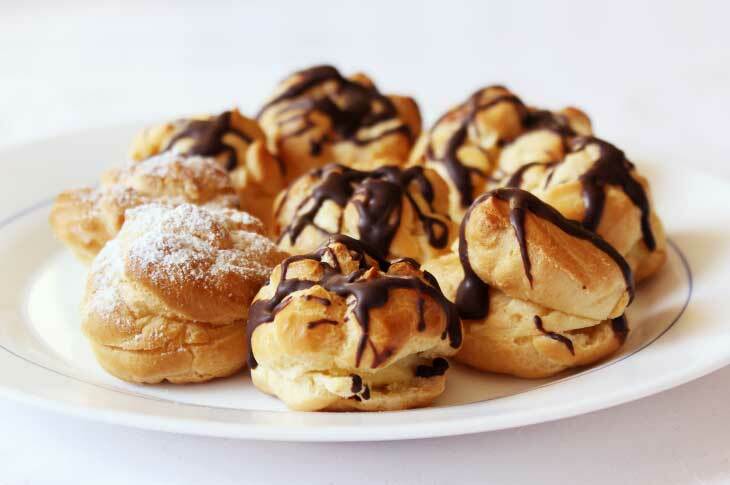 Cut open each Choux shells or make a hole on one side of each shell. Fill the pastry bag with cool pastry cream. Pipe in a generous amount of pastry cream in each shell. Drizzle melted chocolate on the top of each shell or dust the shells with Powdered sugar. Let the chocolate cool before serving. Custard filled shells should be stored in the fridge and consumed within 2 days.